What is a trickle ventilator? Why do I need trickle ventilators? Why not just open the window? Can I use a trickle ventilator in a cold climate? Will I lose a significant amount of heat or cool air? Do I have to worry if I leave my trickle ventilator open when it is raining? Will insects be able to get in through a trickle ventilator? When do I use my trickle ventilator? Are trickle ventilators expensive to operate? Should "trickle ventilators" be installed in windows for new construction? How many trickle ventilators do I need? Are trickle ventilators used only in residences? A trickle ventilator (or a passive air inlet) is a small, operable device that is incorporated into a window or door to allow fresh air to “trickle” into the home or building. To improve indoor air quality and reduce condensation on window glass and frames. As indicated above, the trickle ventilator allows a small amount of fresh air to enter a home or building plus allows stagnant air to exit. This method of air exchange improves the quality of the indoor air. Tighter homes and buildings with a minimum amount of air penetrating can have real indoor air quality problems. Poor indoor air can result in accumulation of indoor contaminants resulting in sickness or illness. Air can become trapped inside and becomes stagnant causing what is known as the “Sick Building Syndrome”. A small amount of fresh air can dramatically improve conditions in “Sick Buildings”. Condensation and moisture also trapped in tightly constructed homes and buildings usually collects first on the surface of glass in windows. The flow of air generated by a “trickle ventilator” slowly clears normal condensation. This small flow of air through a trickle ventilator works like the defroster in an automobile – slower but equally as effective. When opening a window, we typically open it too much! Most trickle ventilators provide only 4 to 6 square inches of opening per window. Even a small size window opened just a crack can give an opening 10 times that of a trickle ventilator. Consequently, penalties in terms of heating and cooling costs are incurred, not to mention creating uncomfortable drafts. Safety and security considerations are maintained with trickle ventilators because fresh air circulation is achieved while windows are shut and locked. Yes. Trickle ventilators can be used in virtually any climate. No. Trickle ventilators are placed near the top of the window, thus, reducing drafts and eliminating loss of comfort. By mixing the air near the ceiling, heat loss is drastically reduced. In climates where air conditioning is the norm, the small amount of outside air introduced through the trickle ventilator will not significantly affect the impact of air conditioning. Not under normal conditions. Trickle ventilators are supplied with outside treatments (canopies or hoods) that resist water penetration from rain. Since ventilators are usually operable (that is, can be opened and closed manually), you can close them during inclement weather. Not usually. An insect screen is built into outside treatments to keep insects from penetrating through the trickle ventilator. In fact, the screening material used in most trickle ventilator outside treatments has a smaller mesh design than that found in typical window screens. During those times of the year when ventilation is most desired. For example, in colder climates when a little fresh air is needed to “air out” a room or conversely in warmer climates when fresh air feels good after air conditioning for extended periods of time. Since security is maintained with shut and locked windows, trickle ventilators can also be opened when homes or buildings are unoccupied to keep the indoor air fresh. No. Trickle ventilators are passive and are opened or closed manually. Therefore, the moving parts don’t require electricity to operate. 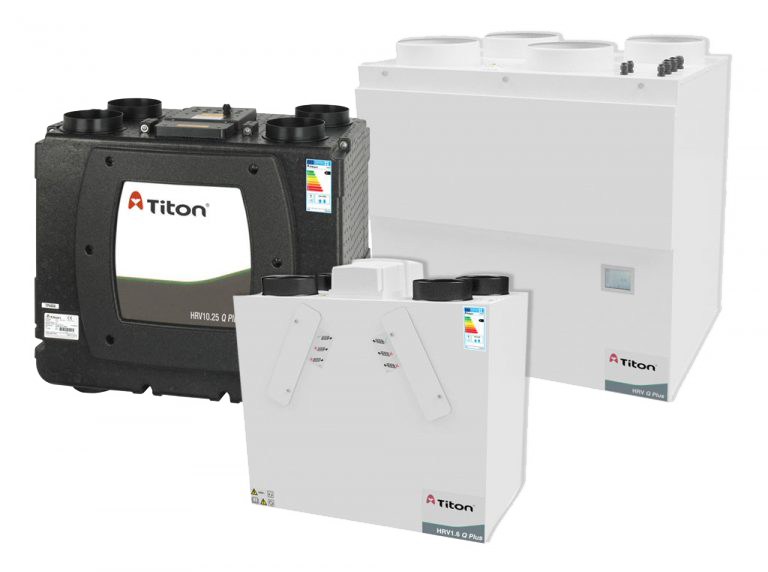 Although their efficiency is enhanced when used in conjunction with mechanical exhaust fans that do consume energy, they are designed to operate independently. Fresh air is introduced in such small amounts that no significant increases in heating or cooling costs result. Yes. Newly constructed homes and buildings contain products such as carpeting, cabinets, and furnishings that often emit undesirable odors. Until other building products used in newly constructed homes and buildings “dry out”, condensation or other conditions result. Trickle ventilators aid in the “drying out” process as well as improve indoor air quality while reducing condensation. Typically, one per habitable room such as bedrooms, family rooms, living rooms, etc. 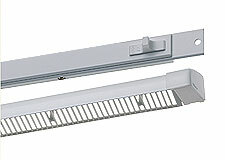 Trickle ventilators are more effective in kitchens and bathrooms when used in conjunction with exhaust fans. However, in kitchens and bathrooms without exhaust fans, ventilators should be used. Cross ventilation should be achieved whenever possible. No. Many commercial buildings such as high rise office and apartment buildings, hotels, and university buildings have trickle ventilators in use.